These are challenges that society faces over the next few decades. Agricultural science as a systems science combines the broad range of methods of scientific basic research with the issues of agricultural practice in order to develop solutions for the major challenges. Plants and animals, soil and water, ecology and economy - the research ranges from the molecular and cellular level to practical field experiments. and is the visible contact for agricultural science inside and outside the TUM. 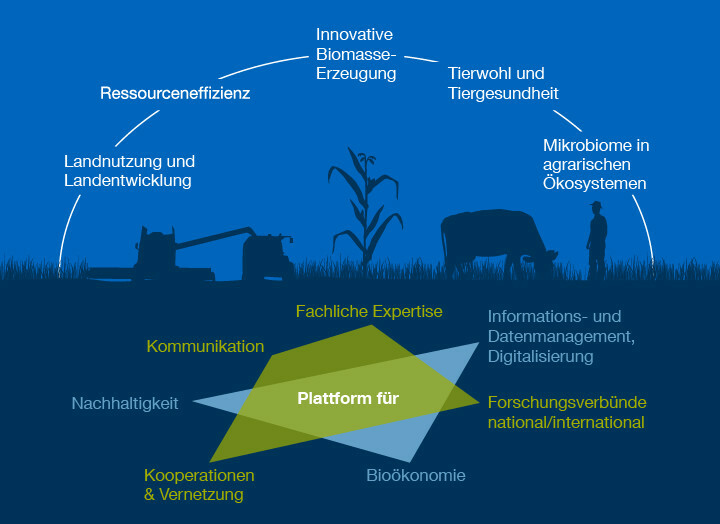 One goal is to further develop the interdisciplinary and transdisciplinary character of agricultural sciences at the Weihenstephan site.